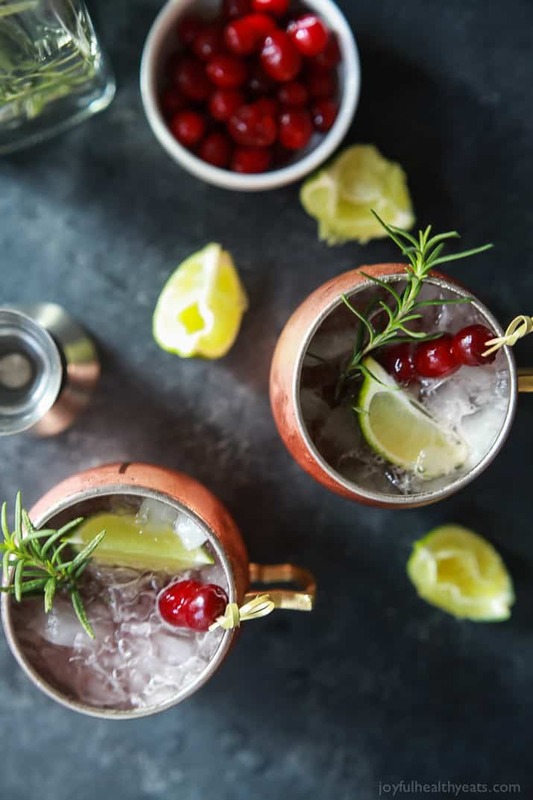 Cranberry Moscow Mule with Rosemary Infused Vodka, you’ll love this holiday twist on a classic and so will you’re guests! 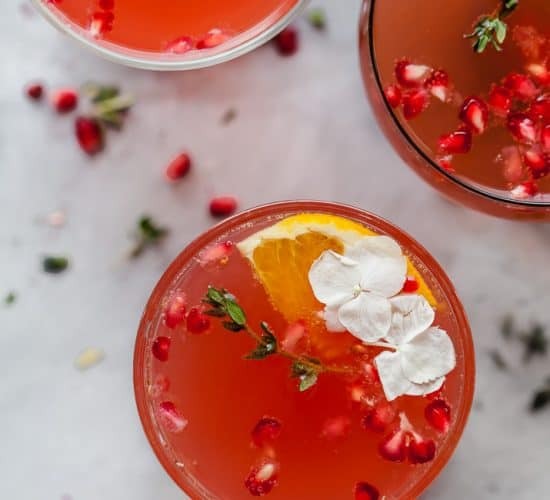 Light, refreshing, delicious, and filled with holiday cheer! Ho Ho Ho Merry Christmas! Well, almost Christmas. In fact, a week from today will be Christmas Day. The reason I tell you that I wasted time is because my mind is absolutely blank on what to write right now. I try to grasp for something and nothing comes to mind. 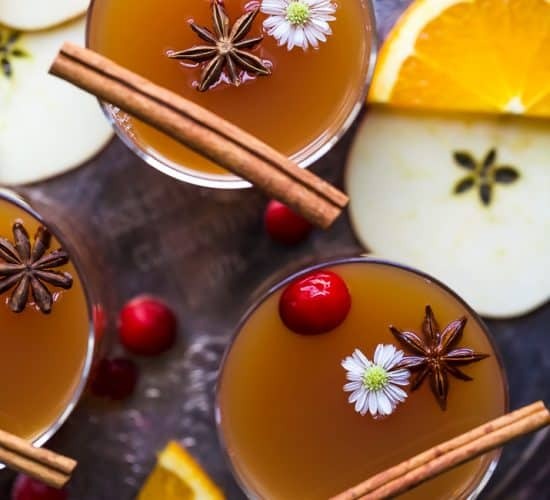 The only thing my mind is holding strong on is that these cocktails are a must this holiday season! Can I tell you something? I have actually never made a Moscow Mule before. I’ve had my fair share of samples but never made one. I decided I needed to change that. Actually my husband decided I needed to change that. Best part of this story was I had a gift card to Sur La Table that I thought only had $4 on it, umm… I was a little off. It had $60 on it! Yippee.. free Copper Mugs for me! 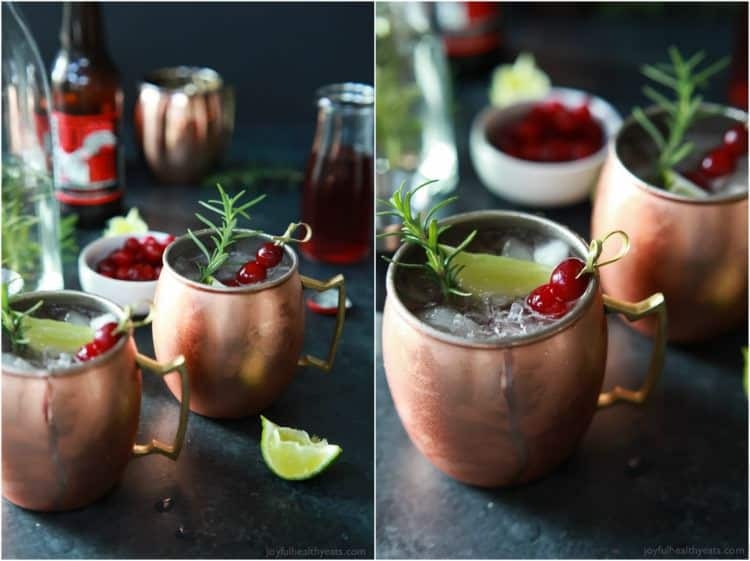 So, of course I HAD to experiment with my new Copper Mugs and perfect my Moscow Mule game! Wouldn’t you? 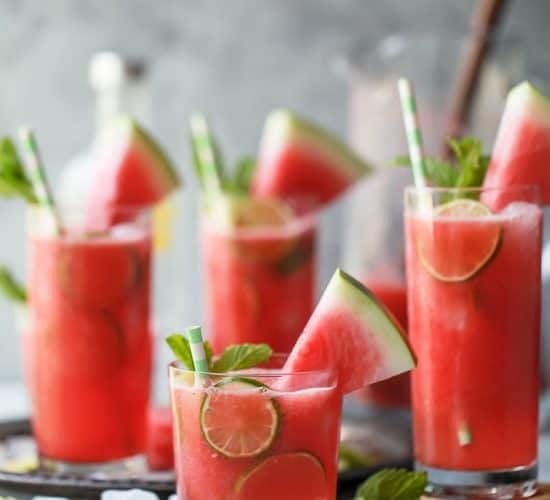 Any excuse to make a fun cocktail! Luckily Moscow Mules are not that hard to make. The main ingredients are Vodka, Ginger Beer, Lime Juice and ice. Easy enough right! I decided to start with the basics and then elevate it for the holidays. What says Holiday Cheer more than Cranberries!!!! Or should I say RED and GREEN! 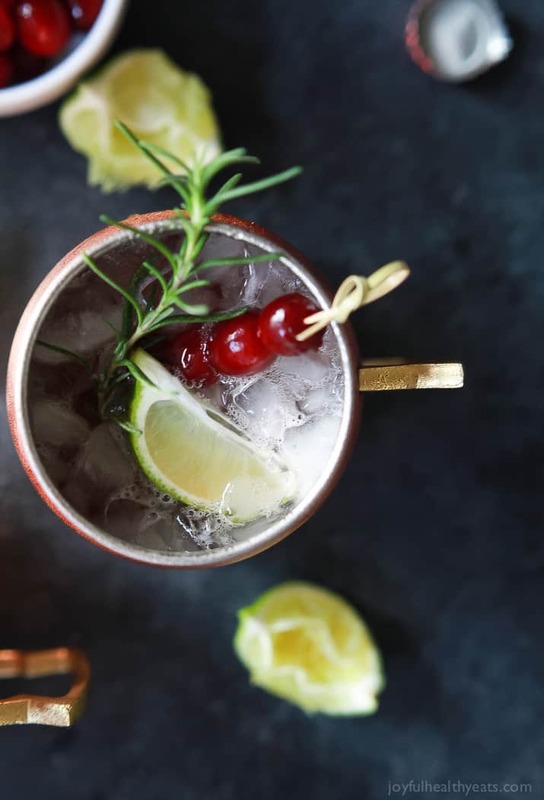 This Cranberry Moscow Mule has a splash of cranberry juice, fresh squeezed lime juice, and homemade Rosemary Infused Vodka to take it over the top! 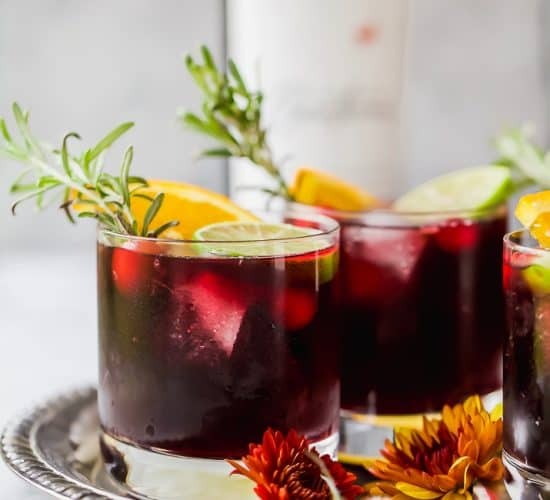 Absolutely perfect for your next holiday party! 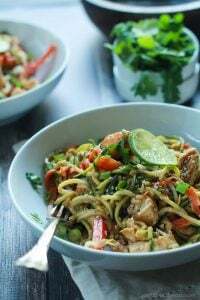 The flavors are incredible and blend into each other so well, you’ll be on your second before you know it! Don’t worry this drink doesn’t discriminate. If you don’t have a Copper Mug you can still make it, and it will be just as delicious! Bon Appetite my friends … or I guess I should say Cheers! 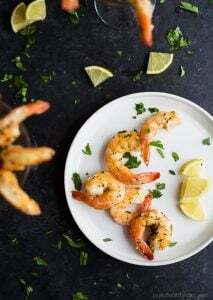 Add vodka and rosemary sprigs to a bottle. 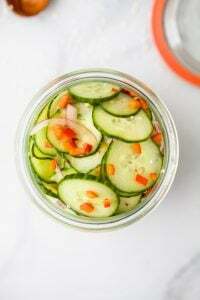 Let sit for 1-2 days to soak. 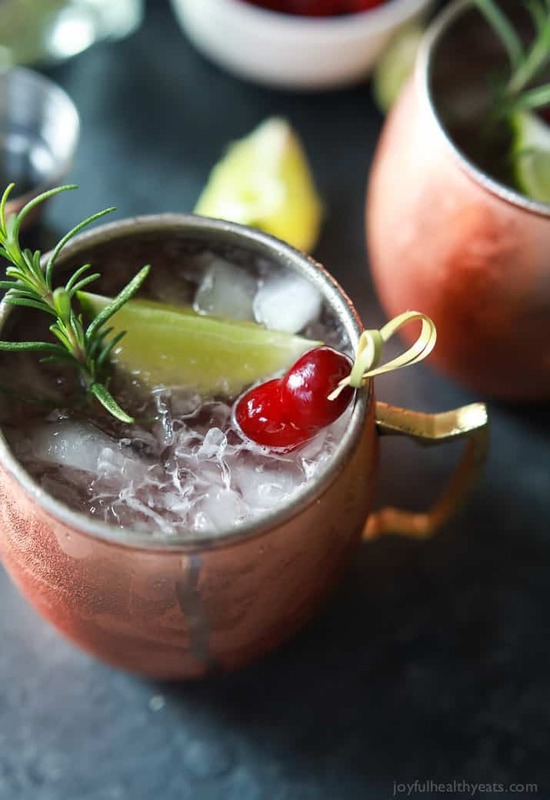 To a copper mug, add crushed ice, infused rosemary vodka, cranberry juice, lime juice, and ginger beer. Stir and serve! Oh Christmas movies…I am sucker too! And second…Sur la Table, I am itching to go back! 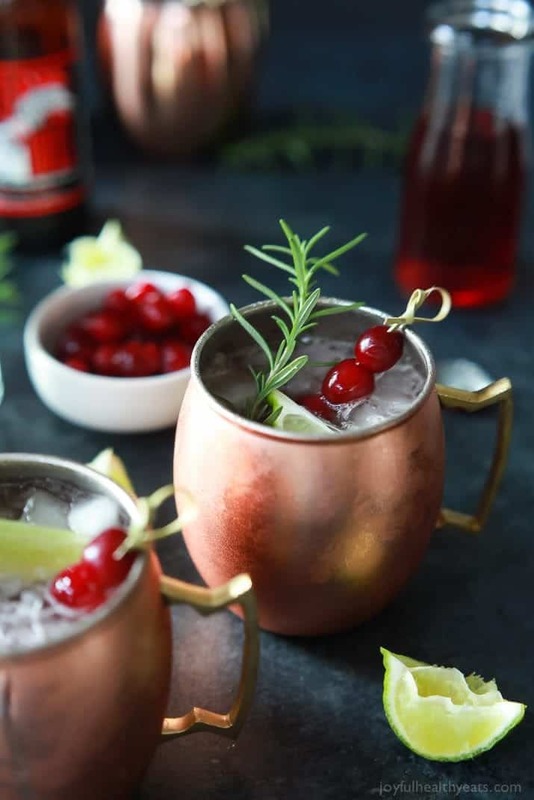 And third, these Cranberry Moscow Mules would make every holiday hour happier! These are beautiful!!! I went to Sur La Table for the first time in October when we were on vacation…I almost needed another suit case to get it all home! haha! 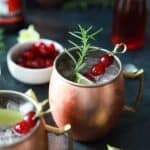 I have never had a Moscow Mule before, but that needs to change ASAP! for the first time?!?! girl i adore that store! 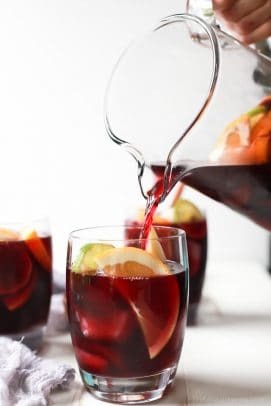 glad you finally went, now go make these cocktails too! I just purchased copper mugs too (sadly mine weren’t free) just so I could try a Moscow mule for the first time too. These are positively addicting! I love the rosemary! They are absolutely addicting you are right on that! Cheers my friend! Ahh..I am hoping for cooper mugs for Christmas. 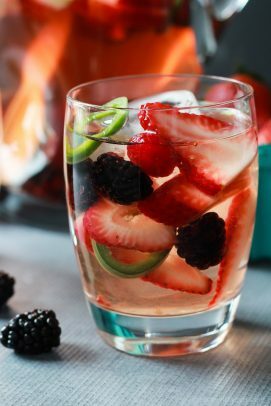 I hadn’t thought of the rosemary infused vodka, love it! 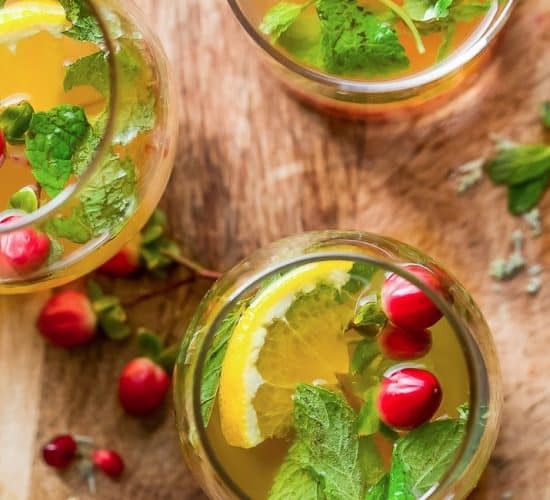 I did find diet ginger beer, so I’ll be making these this Christmas. Thanks and Happy Holidays! Yeah, I hope you get them too girl! 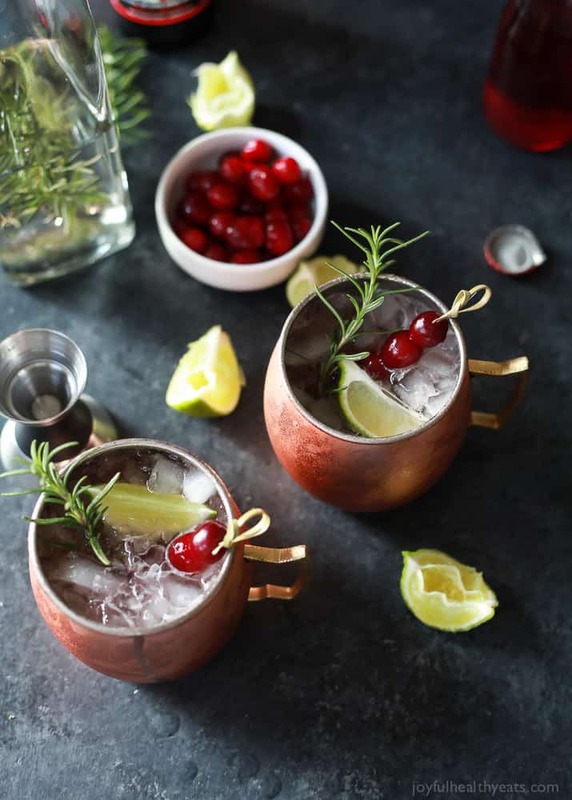 Then more Moscow Mules for you! 🙂 hehe Hope you enjoy girl! I love the cups that these come in! Sounds delcious! These photos are downright stunning, Krista! 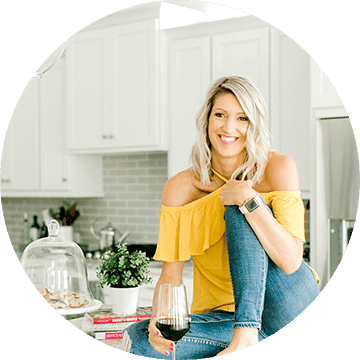 I’ve never made Moscow Mules before either but I think you’ve just changed that with this recipe! OH thanks so much Melanie! 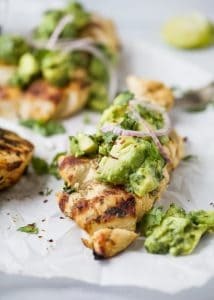 You will absolutely love these! This is just beautiful. Loving the flavors of this drink. So indicative of the holidays! Thank you so much Chrissie!